Holly Black’s The Cruel Prince has found itself caught up in tons of hype over the past few months. Fans the world over have been placing this novel on the highest pedestal and speaking nothing but praises for it. 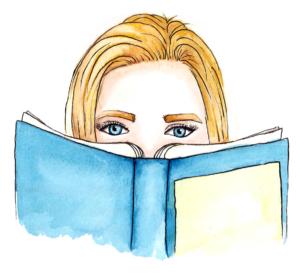 It’s no secret that I am the type of reader that often gets pulled into reading a book by hype alone (and I usually find myself participating in said hype after reading the book myself). Whilst there have been some exceptions to this, The Cruel Prince is definitely not one of them. If I could erase my own memory of reading The Cruel Prince just to do so again with fresh eyes, I would – it was that phenomenal. Holly Black builds her novel upon the foundations of complex family dynamics and the dark, ominous setting of Faerie to produce a story filled to the brim with politics, deception, and conflicted characters. This page-turner definitely deserves a 5-star rating! The novel is told through the eyes of Jude, a human born in the mortal world but raised in Faerie alongside her sisters, Taryn and Vivienne, by their adoptive father, Madoc. The sisters are on the cusp of adulthood, each making decisions regarding their future in Faerie. Whilst Vivienne wants to be amongst humans once more and Taryn hopes to assimilate into Faerie’s gentry, Jude aspires to be part of the knighthood that protects their world. However, her mortality coupled with her social status places her in a vulnerable position whereby she is simultaneously looked down upon in society and protected by Madoc’s role as General to the High King. 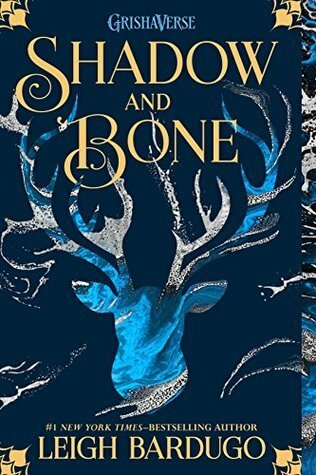 Jude experiences the consequences of being mortal within an immortal world most at the hands of Prince Cardan who torments her constantly. However, these setbacks do not prevent her from seeking out a more powerful position. Upon being granted an opportunity that promises Jude the power she desires, she finds herself entangled in a web of secrets, political gameplay, and betrayal, ultimately leading her to confront not only her true self but also her duty to protect the world she so badly wants to belong to. What struck me most about The Cruel Prince was its unfailing ability to keep me interested. This might not seem significant to mention but I often find that YA novels begin on a high note, stay within a mediocre plateau throughout the majority of the story, and then only peak again at the end. Holly Black challenges this entirely. Every chapter has just the right combination of compelling storytelling and mystery to keep me wanting more. There wasn’t one moment where I felt bored or even disappointed because the story kept building into what became a remarkable ending that left me feeling broken, excited, and nervous for the next book all at once. The revelations along the way and the big (and unpredictable) plot twist at the end ensured that this was a rollercoaster of a read! But the ride didn’t stop there – the characters and the relationships between them are just as layered and complex as the story itself. Many of these characters prove themselves to be not as clear-cut as they seem at first. They are conflicted in their thoughts and motives, perform unexpected actions, and have completely challenged our perceptions of who they are by the end of the novel. Jude may seem headstrong and cunning at first but she shows herself to be like most teenagers – uncertain of who she truly is and hoping to prove herself to her family. Madoc is introduced as brutal and unrelenting, but later on shows a much softer, fatherly side to him. All of the characters have more to them than what meets the eye, often making for surprising moments throughout the story. However, above all else, the most compelling aspect of The Cruel Prince is the political intrigue. Jude is granted the perfect opportunity to prove to her family that she can be one of the Fae. However, this opportunity means testing where her loyalties lie and uncovering long-kept secrets and betrayals that she may not want to know about. Jude is used as a pawn in a political game leading up to the inauguration of the new High King of Faerie and is soon swept into a more complex situation and influential position than she thought possible. She places her desire for power and strength above love and convenience and continuously takes risks for the greater good. Stakes are raised, villains are revealed, and the web of influence and power expands beyond what the reader expects. Holly Black really knows how to keep us on our toes – especially at the end! 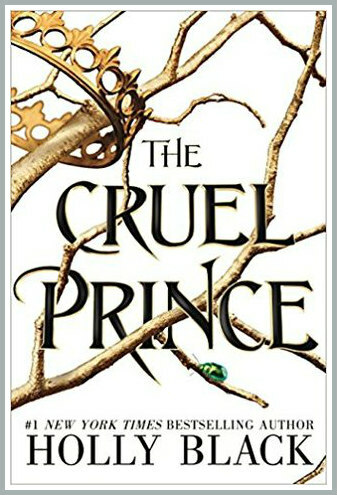 The Cruel Prince shouldn’t be read as just another story about Fae and a teenager as she comes of age. More than this, the novel is about how strength does not come from being part of the crowd – it comes from being outside of it. Our differences are what make us stronger when we are brought together, not our similarities. The story also shows that there is power in powerlessness and everyone can make a significant impact on their society if they care about it enough. The Cruel Prince went above my expectations and destroyed them all at once, making it one of my favourite books of all time.